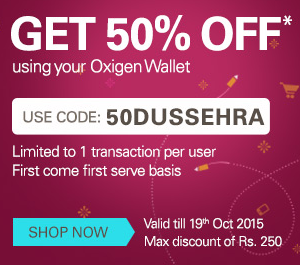 8.Pay with oxigen wallet only to get 50% off on products. Note : If you have not oxigen wallet account then go to playstore and install it.Create new account and load money in your oxigen wallet. 1.Offer valid from 19th Oct to 20th Oct on first come first serve basis. 2.Valid for all ebay users. 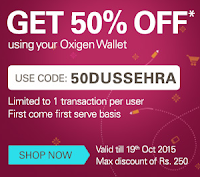 3.Offer valid on payment with oxigen wallet only. 4.Maximum Discount is Rs 250.